Do you fancy getting some friends round for an evening and want to do something a bit different? All you need to do is provide us with a date and we will take care of the rest – we bring the wine, the food, the glasses and the expertise you just provide the venue and your friends! We will work with you on whatever type of evening you want – themes for your individual event are endless: Do you have a preference for Champagne? Are you a Francophile or are New Zealand wines more your thing? 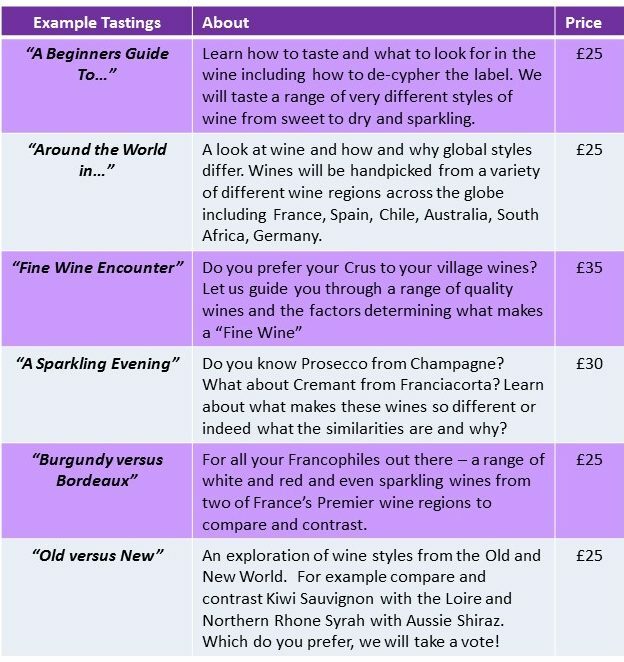 Or do you just want to learn a bit more about how to taste wine and are happy to leave us to structure an event for you? 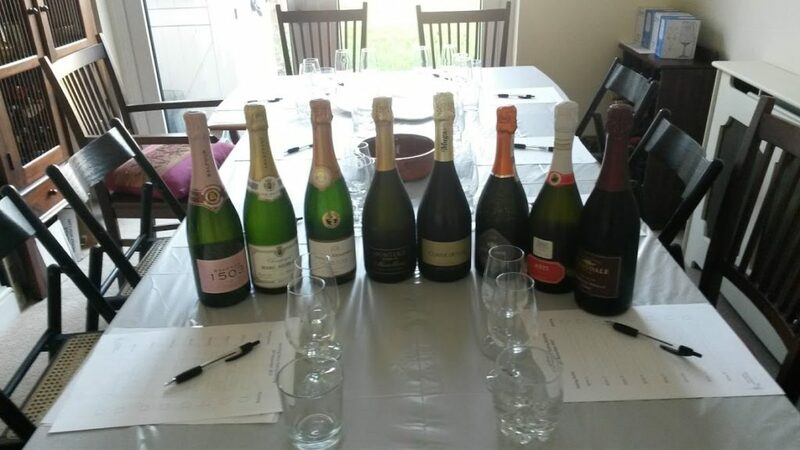 All tutored tastings are for 2 hours, there will be a minimum of 6 wines tasted, a delicious platter of antipasti and cheeses will also be provided for you to enjoy after the tasting and water biscuits and water during the tastings. ISO tasting glasses are provided and are yours to keep after the event. Tasting notes will also be provided. Prices range from £25-£35 per person (depending on package theme chosen) for groups of a minimum of 8 people. Please provide postcode information as there may be additional travel costs incurred on top of the per person fee quoted.